The idea of a perfect relationship is so thrilling that people are willing to endure quite a bit before they bow out gracefully (or not so gracefully). Those that have invested years into the relationship may find it extremely hard to let go, even when they’re being treated awful or aren’t happy anymore. While that is understandable, do you really want to be that unhappy for the rest of your life? 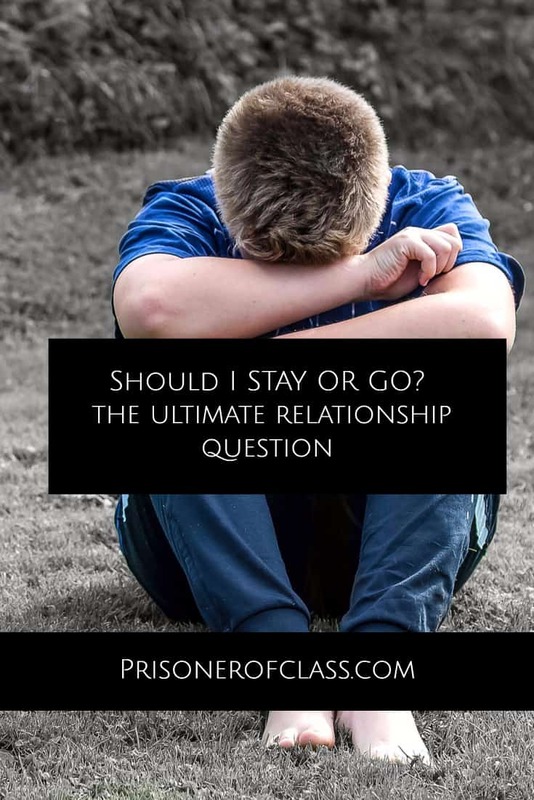 If you’re finding it hard to find a reason to stay, and need a bit of extra reassurance, or need some advice, continue reading on, and you may find your answer. One can argue correctly that a major reason most people choose to end a relationship with a loved one is as a result of – Unmet expectations. Some people call it unhappiness, some call it lack of fulfillment but in simple words, the relationship is not meeting their expectations. What would make it so that I do feel fulfilled? Am I going to feel this way if I get into a relationship with someone else? Does it have anything to do with my partner? Is there something my partner could do different that would make things better? If you find yourself answering, “yes” to the last question, then you really shouldn’t break up with your partner. It’s worth noting that all couples fight, and all couples have emotional issues that they have to work through. If you’re in it for the long haul and want to marry this person eventually, you really shouldn’t be turning to breaking up your relationship at the first sign of distress. When you have an understanding partner, you should voice this unfulfillment to them, and discuss where you two can go. Not only do these types of discussions make your bond and relationship stronger, but it could help link the both of you on a stronger bridge than ever before. However, if you or your partner decide to give up without trying to mend the trust issues, there may be deeper issues affecting your relationship. In most cases, someone who isn’t willing to work on a relationship already has one foot out the door. With that being said, let’s examine the common immature excuses for ending a relationship. Some people genuinely believe others would be better off without them, and those people may be suffering from depression or something similar. If you’re the person suffering, and your significant other hasn’t made an effort to understand your depression, they may not be the right one for you. After a while, they may do the whole, “it’s not you, it’s me” thing. Financial problems are a major reason people leave relationships. Believe it or not, there have been people who use the excuse of not being able to provide for their significant other, but there will be times in the lifespan of the relationship where troubling times will occur. If you believe in marriage, finances won’t always be great – that’s a known fact. If someone is willing to break up a loving relationship or finances, they may not feel the same for you. If you’ve always had issues with their family or their family has had issues with you for no reason, that’s an understandable reason to end a relationship with someone. There are people who think family comes first, but those that are truly invested in you will make a case for you, and try to fight for you. A huge reason why people have broken up with their significant other is because of the blanket phrase, “you’ve changed”. 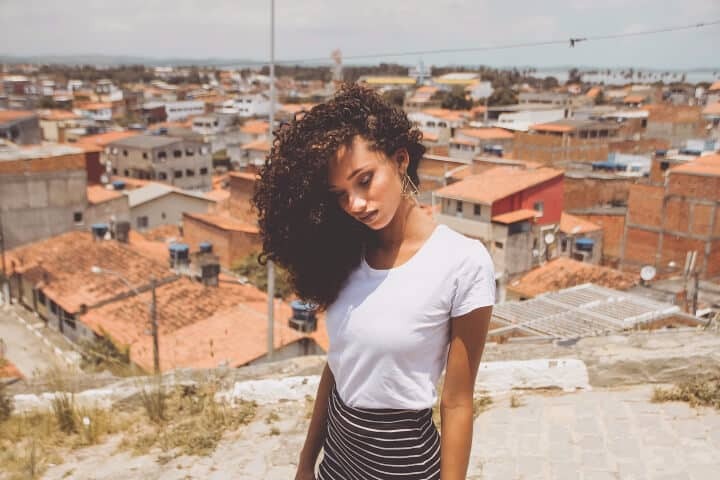 If they’ve never brought this up to you before, and are willing to jet out of the relationship so quickly, there may be deeper reasons brewing behind their timid eyes. They could have met someone else, they could not love you anymore, they could be having their own mental issues, but anyone who is in a good relationship should always open the door for communication when they think something is up. “You’ve changed” isn’t a substantial reason any longer. You may think, “if I’ve been acting different, why haven’t you discussed this with me?” Chances are, they can’t give you a mature answer, and their immature mentality may not be suitable for your level of love. We can’t forget about those in a long-term relationship. If the other person seemed invested initially but comes out with the “you know, the long distance isn’t working out for me”, it usually means they already have a leg out the door. Those mature enough to be in long-term relationships try to make it work with visiting, or eventually talk about the big move one of you will have to make. It takes sacrifice, but sometimes, you have to sacrifice a bit to be in your dream relationship. It’s especially hard for those that have been doing the long-distance thing for years, and just can’t take it anymore, but at that point, you should be discussing moving in with one another, unless the other just isn’t feeling it anymore. A huge and immature reason to leave someone is when they aren’t able to satisfy you in bed and vice versa. People are skittish when it comes to talking about improvement in the bedroom, but those in a healthy relationship should be able to talk about this with ease. Those that automatically break up because they have semi-awkward experiences or unsatisfying experiences in the bedroom are probably not mature enough to be in a substantial relationship in the first place. Ahh, the honeymoon phase. The last immature excuse that we’ll shell out for you here. Those that believe the honeymoon phase should last forever are probably too mature to be in a long-term relationship. The honeymoon phase usually involves feeling butterflies or constantly being happy. When you’re with someone long enough, you’re not nervous anymore, which means you aren’t going to be constantly having butterflies. Beyond this, there will be tough days, and there will be extremely happy periods. If you’re constantly fighting, sure, something needs to be done, but if you’re happy and content, that’s all that matters – stop focusing on the term “honeymoon” and focus on if you’re happy or not. With all of the silly reasoning behind the aforementioned excuses, there are some with a bit of validity to back them up. If you didn’t see specific reasoning above, you may find it here. Legitimate reasons for breaking up including the forthcoming. A huge reason to break up with someone that is very legitimate is trust. As we’ve mentioned, trust is everything, and if you’ve given it your all and the other person can’t prove to be a functioning member of the relationship, then it’s time to close the doors on that chapter. Some people aren’t meant for monogamy, and while it may sting at first, you’ll find someone that you’ll be able to trust without worrying every second of the day. Speaking of trust, if someone cheats on you, it’s okay not to want to mend the relationship. It’s 100% okay to cut ties with that person and find someone that will respect you – all of you, even on your worst days. There is no excuse for cheating that’s justifiable in any way, shape, or form. It doesn’t matter if it’s been 6 years or 6 months – trust and respect is everything. If someone is neurotic, and no matter what you say or do – it doesn’t help, and you never feel good enough, you must discuss this with your partner. If nothing changes or that person continues to relapse into a negative being, then it’s okay to end the relationship. You should never feel bad for trying your hardest and wanting to be happy. Has your partner started playing around with heavier drugs than pot? If they refuse to get clean, or relapse behind your back, it’s okay to end the relationship. 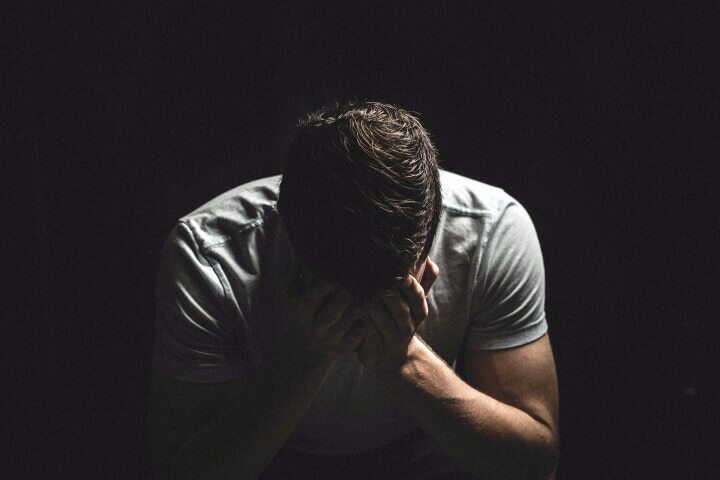 Addiction is tough, and it’s okay to be there for them and help them receive rehabilitation, but you have to move on with your life if they aren’t willing to step up to the plate and get help. There’s only so much you can do, and you can’t help someone that doesn’t want to be helped. If you or your significant other just don’t have time for each other anymore, and the relationship has become loveless, it’s okay to seek out the option of ending the relationship. We suggest that you try to make it work before ending the chapter, but if you find that it’s too difficult, and you’d rather focus on your career, then maybe it wasn’t meant to be. Those that are meant to be together will find a way no matter what. If you’re just going through a fling, this shouldn’t be too hard, but if you’ve been in a longer relationship, we suggest working at it a bit more and finding a compromise between your career and your personal life. As you age, you find yourself backing away from any negativity or drama. When it comes to ending a relationship, you don’t want to deal with either, but you want to end the relationship healthily. Whether it’s mutual on their part or not, it’s important to convey your thoughts in a precise and calm manner. When you’re not calm, you’ve automatically started off on the wrong foot. A great way to begin is to never break up with them via text. Make sure they’re off work and in an okay mood. It’s tough, but if they’re in a terrible mood already, your message, whether good or bad, may backfire completely. You may be someone who wants to discuss the relationship over dinner, or you may be someone who doesn’t like to touch food in times like this, but it’s important that you sit down your significant other somewhere private and discuss what lead up to this decision you’ve made. Instead of saying, “okay, so I’m breaking up with you”, you’ve got to have a bit more compassion than that – even if you don’t ever want to see them again. Tell them what went wrong, and how it could have been improved, or if they didn’t try to improve at all even after you’ve tried discussing the issues previously. Never leave someone hanging and drowning themselves in the thoughts of what went wrong: be honest and tell them! Are you in a long-term, long-distance relationship? If so, it may be easy to try and break it up over text, but it’s important that you try to make it more comfortable for them. Discuss via Skype or at least over the phone – they’re worth more than a single text. Brides dating has a good article on – How to Break Up after a Long-Term Relationship, if you want to go down that route, you should read the article. Trust your instincts because, at the end of the day, an article can’t decide for you. Your answers are within and you need to embrace them. Whatever is bothering you might never go away, so don’t push it away, deal with it. Remember: don’t try to force the relationship, you should always trust your gut instinct, and remember to always respect your partner, even if you’re going to break up with them or if they’re breaking up with you. Throwing a fit won’t change their mind about breaking up, and it’s important to remain objective. Very helpful article for people who are confused about leaving the relationship. Rightly said, Gut instinct plays an important role. Thanks for this, this is really what I needed right now. Honestly. I am currently going through a rough ride, my relationship hasn’t been going particularly well over the last 6 months, however, the last year has been brilliant. He’s become abusive and I am only just getting together the courage to leave him. This is a really great article, it can be so hard to make a decision to leave a relationship – I have been there! But you are absolutely right, gut instinct is important. And I think if trust has gone, then it is almost impossible to repair. Damn, I’ve too much hesitated with my current relationship. Looking for the answer that should I leave him?